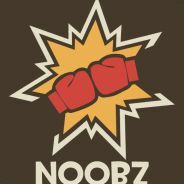 Battle Arena Forums • View topic - Noobz! Fear is stronger than Love. <Sherlock> i was talking to katey just now . Couldnt believe tht she was real. <Sherlock> so I pinched myself and now i am awake. <Sherlock> this is funny i gonna ss this. I meant my chat name is Sherlock. So Neebz what yard we gonna make nao? Till the smoke clears out - am I high? Perhaps. I'ma rip this LAZORcaution till my bone collapse. BodaciousMaimu wrote: may i join??? ?